If you enjoy Larry's acting prowess, you can enjoy even more of them in this fantastical video promsing to deliver binary trading software that has 97% accuracy (I predict everybody who actually uses Larry's software will be part of that "magical" losing 3%. 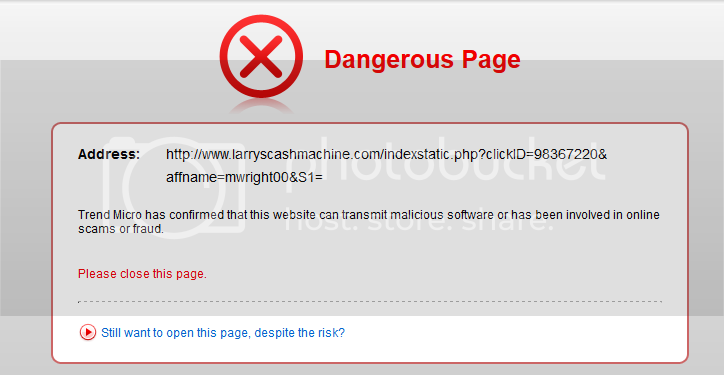 Larry's Cash Machine is still at the top of the ClickSure Leaderboard! paid out to Affiliates in less than 1 week, this is proving to be MASSIVE! afford to let this opportunity pass you by!" Well, looks like somebody seems to be making people with this binary options auto trading scam...but it's not the people coming across the fake review sites online.